Triplett rode Anika's Pet for 85 points in the championship round. PBR Canada photo by Covy Moore. 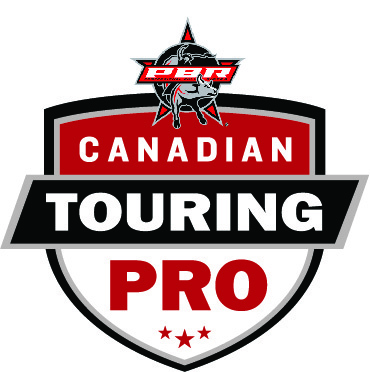 CALGARY, Alberta – Backed by a perfect 2-for-2 performance, Matt Triplett (Columbia Falls, Montana) sits atop the leaderboard after the first day of action at PBR (Professional Bull Riders ) Canada Touring Pro Division’s (TPD) Ranchman's Renegades Charity Bullbustin'. Triplett began the night with a fifth place finish in Round 1 after riding Grandpa's Whiskey (Girletz Rodeo Stock) for 81.5 points. The 26-year-old then logged 85 points aboard Anika's Pet (Big Chief Bucking Bulls) in the short go, winning the championship round and solidifying his place atop the leaderboard as the only perfect rider that night. Currently ranked No.8 in the world standings, Triplett could earn 60 world points on Wednesday night when the first two days of Bullbustin' conclude at Ranchman's, pushing him past current No.7 Stormy Wing in the rankings. Second after Tuesday night's competition is Gustavo Pedrero (Jalisco, Mexico). Pedrero scored 86.5 points on Chip Shot (Outlaw Buckers) to win Round 1, but bucked off Spin Box (Outlaw Buckers) in the Championship Round. Koal Livingston (Burleston, Texas), Lachlan Richardson (Gresford, NSW, AUS) and Tyler Harr (Hazen, Arkansas) are tied for third after Tuesday night thanks to matching 85.5 point scores in Round 1. Livingston took advantage of a re-ride on Chump (Big Chief Bucking Bulls) while Harr rode Red Mile (Outlaw Buckers) and Richardson made the 8 aboard Southern Heat (Vold Rodeo / Prescott). Cody Casper (Pacific, Washington), Fraser Babbington (Gisborne, NZ, New Zealand), Todd Chotowetz (Major, Saskatchewan) and Zane Lambert (Ponoka, Alberta) also logged qualified rides in Round 1. Casper and Babbington are currently tied for sixth after delivering matching 81-point rides aboard Red Light (Vold Rodeo / Prescott) and Silver Pitch (Vold Rodeo / Prescott) respectively, while Chotowetz’s 80.5-point trip earned him an eighth place finish and Lambert’s 76-point ride landed him in ninth. Tennessee Whiskey (Outlaw Buckers) logged the top bull score of the night after earning 43.5 points for dispatching Tyler Harr in the championship round. The second and final day of action for the Ranchman's Renegades Charity Bullbustin' begins at 7:00pm MST on July 5th where $30,000 will be paid out. PBR Canada’s TPD will then host the Bullbustin' in Support of the Sheldon Kennedy Child Advocacy Centre on Thursday, July 6 at Ranchman's Cookhouse and Dancehall Inc. featuring $20,000 in prize money. Official results from the Ranchman's Renegades PBR Bullbustin' on July 4th, 2017. Round one: 1. Gustavo Pedrero, 86.5 points; 2. (tie) Koal Livingston, Lachlan Richardson and Tyler Harr, 85.5; 5. Matt Triplett, 81.5 points; 6. (tie) Cody Casper and Fraser Babbington, 81; 8. Todd Chotowetz, 80.5; 9. Zane Lambert, 76; no other qualified rides. Finals: 1. Matt Triplett on Big Chief Bucking Bulls' A30 Anika's Pet, 85 points; no other qualified rides. Aggregate: 1. Matt Triplett - Columbia Falls, Montana - 166.5 points on two bulls; 2. Gustavo Pedrero - Jalisco, Mexico - 86.5 points on one bull; 3. (tie) Koal Livingston - Burleston, Texas - Lachlan Richardson - Gresford, NSW, Australia and Tyler Harr - Hazen, Arkansas - 85.5; 6. (tie) Cody Casper - Pacific, Washington and Fraser Babbington - Gisborne, New Zealand - 81; 8. Todd Chotowetz - Major, Saskatchewan, 80.5; 9. Zane Lambert - Ponoka, Alberta, 76; no other qualified rides.